Motivation is something some coaches talk about, others read up about it, some try to master it and learn all its secrets, motivation is what everyone believes is what get athletes to achieve what is otherwise impossible. 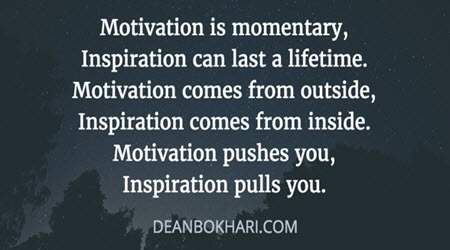 This search to find motivational success gets some to spend large amounts of cash on motivational speakers with their goal being to motivate their team of athletes. There are also several coursed to attend, workshops are available and all claim to teach the skill needed to master the mysteries of motivation. No matter the amount you spend, the more desperate you are to master motivation the less you’ll be able to understand it. First of all, you need to know what motivation is, it is a desire, basically, a fire that ignites outstanding victories fuels great performances, and drive persistence and perseverance. Motivation is what gives athletes a winning attitude, it’s the basic of mental-toughness, the character and strength that empowers athletes to overcome setbacks, injuries and disappointments, the cornerstone of success. Coaches often think of motivation as a miracle or a pill, a technique or breakthrough, yet it is so much simpler and so much more powerful. Motivation starts with you the coach, it is fuelled by your desire to be a better coach, to be someone your athletes can trust, relate to and want to win for. Motivational speakers talking about success, glory and money is what most people think off as motivation, although it is actually an inspiration. Motivation and inspiration work hand in hand together to inspire people to change their behaviours in order to realise a dream. Inspiration comes to the outside from the speaker to another person while motivation comes from within, it is ignited by passion. In order to motivate the team, a sports coach need to provide opportunity and create an environment for athletes to express their true motivation in everything they do. The coach is there to support, encourage and to help athletes to discover their passion. Athletes that are motivated stand out, they attend every practice, arrive early and are eager to help set up the equipment. They always willing to help clean up afterwards and if coaches allow it, motivation will express itself. Motivation does not come from providing high enthusiasm, or high energy or always talking about psyching-up, it is providing an environment where athletes feel free to show how motivated they are. It is feeling safe in an environment where the coach understands the wishes of each athlete, the will to achieve, the disappointment when it takes a bit longer and knowing they have the space to enjoy their strengths and work on their weaknesses. An environment where no one is ever judged, only the doorway to bigger things achieved via practising and the identification of areas that needs the most attention.